At Wellington Power, our success is based upon diversified excellence in electrical construction, automated metering infrastructure, teledata, and general construction services for utility, industrial, and public sector clients. The organization has been developed to handle projects ranging from simple service calls to multimillion dollar installations. A full spectrum of services has been provided for an extensive client list. Wellington's SERVAnywhere® Work Management System is the third generation of proprietary work management hardware/software products designed by the Wellington Team. It can provide the functionality, scale and accuracy required by the most demanding of Smart Meter projects. These systems, working in concert with Wellington's proven training and quality assurance programs, reduce field error rates to less than 0.15%. 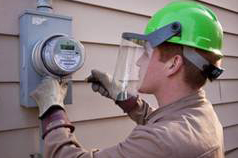 Wellington has provided $365M of automated metering services to Pacific Gas & Electric’s service territory of over 70,000 square miles. 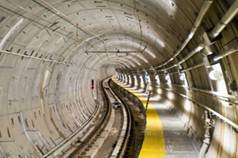 On the recently completed North Shore Connector Project, Wellington’s $91.5M contract was for both train systems and station finishes to extend Pittsburgh's Light Rail Transit System.